Sod can make a big difference in the aesthetics of your yard. However, sometimes, sod just has to go. If you want to lay a new paver patio or would like to use your yard for a garden space, cutting and removing sod become necessary. Proper cutting of sod gives you access to clean soil where you don’t have to pick stray roots or weeds. If you have a big yard to cover, hiring someone to cut the sod for you can be an option. But if you want to save money, you could do it as well. 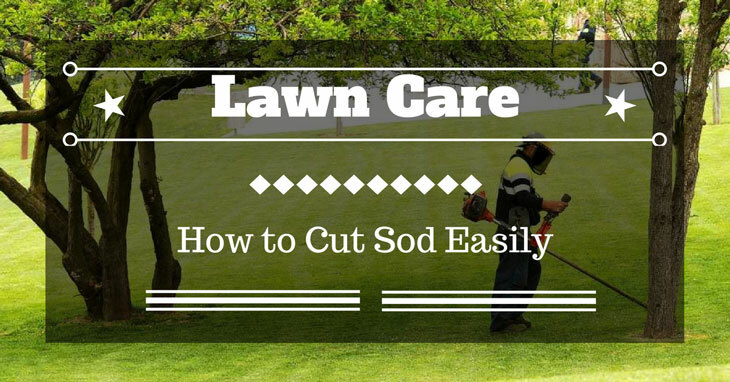 In this guide, we will teach you how to cut sod properly and easily. To cut the sod, you will need an appropriate tool to make the task easier. According to Hunker, there are two main classifications of tools that you can use for cutting and removing sod. These are the tillers and sod cutters. These tools work in very different ways. A tiller typically rips the grass and then churns it into the soil. A sod cutter, on the other hand, cuts and removes both the grass and the thin layer of soil where it grows. The sod can then be replanted wherever you want. For this guide, we will be discussing more on the sod cutter. 1. Sod lifter and cutter – This tool can handle both the lifting and cutting of sod. However, many homeowners are reluctant to invest in a sod lifter and cutter as the available products can be expensive, typically costing $75 to $100. A sod lifter and cutter generally features a half moon-shaped lower blade as well as a long handle for gripping. You would be able to cut through most types of weeds with this tool. However, you’ll need some muscle work to use it. 2. Manual Kick-Type Sod Cutter and Edger – This tool gets your feet working instead of your hands. This is one of the popular tools for cutting sod as it can cover more ground with less work. Most available models have a crossbar holding two long handles together. It has a flat blade and roller to handle the ground work. You can also adjust the level of the blade to suit you. It works by kicking the crossbar to cut the sod. 3. Digging Tool and Sod Cutter – If you don’t want to spend more on a sod cutter, the least that you can have is a digging tool and sod cutter which works more like a knife. This kind of tool is very useful especially if you are working on small spaces. Whatever cutting tool you will be using, make sure the blade is smooth and sharp. A dull and uneven blade can cause tearing or make a bad cut. Don’t install joints next to each other as it will be noticeable until they grow together. You could stagger where you start and stop sodding. After laying the sod, water it immediately to encourage active growth. Now that you are ready to cut the sod, here are the steps on how to cut sod easily. 1. Outline the area where you wish to cut and remove the sod. You could use a string as a guide when applying landscaping spray paint to make it more visible. 2. Push the spade shovel straight down to the soil, starting at the perimeter lines. The ideal depth is about 6 inches. Reposition again the shovel and cut through the sod around the outlined area. 3. Cut the large sod section into smaller strips of about 12 inches wide. Be careful to cut in a straight line. 4. Cut the 12-inch wide sod strip into small pieces of about 1 foot long. This makes it easier to remove the sod from the soil. 5. Peel back a portion of the sod, starting at one corner of your outlined area. You can then insert the spade in the corner and then slide it under the cut sod to remove the roots from the soil. 6. Use a knife to sever any clinging roots as you carefully roll up the sod strip just like when you are rolling a carpet. Roll up the entire 12-inch wide strip. 7. After rolling your first strip, move to another strip. Repeat this process until you are able to cut and remove all the sod inside the outlined area. Tip 1: You can use this newly cut and removed sod to replace any sparse or dead patch of grass in your yard. You may also transfer the sod to a new location. It is important to keep the sod moist until you are ready to use them. Tip 2: If you have to use the sod for odd-shaped patches or for smaller spaces, you’ll obviously have to cut the sod into much smaller pieces. Be sure to use a sharp knife to do this to avoid destroying the sod. A manual sod cutter is an economical option for cutting and removing sod where you have to cover a larger space. Manual sod cutters are generally designed to remove 12-inch wide sod strips from the soil without using gas power. There are different types of manual sod cutter available as we have listed above. One of the most preferred by homeowners is the kick-style manual side cutter. You can check this video to get an idea of how this tool works. 1. One day before you cut the sod, prepare your lawn by mowing it to reduce the volume and weight of the sod. If the soil is dry, water it and make sure that the top 2-inch layer is moist. 2. Outline the area of your lawn where you want to cut. A landscaping spray paint is most effective in this task. 3. Place the sod cutter in one end of the lawn where you want to cut. Set the blade to 2-inch deep if you want to cut up to the root layer. If you want to skim the soil surface for thatch removal, you could set it to 1-inch. 4. Press down on the handles, forcing the horizontal blade into the soil. When this is already in place, kick the crossbar in between the handles to move the sod cutter forward. While doing this, the blade will slide under the grass to loosen the sod. Continue pushing and kicking the sod cutter forward until you reach the other end. 5. When you have to remove the blade from the soil, simply pull up the handles. Roll up the newly cut strips of sod and then set them aside for turf repair or replanting. Tip: You will need a comfortable and strong pair of shoes for this task. Cutting sod is a labor-intensive project. For large areas, it would be good to ask another person to help you out. Aside from that, you’ll also need the right tool to do it. 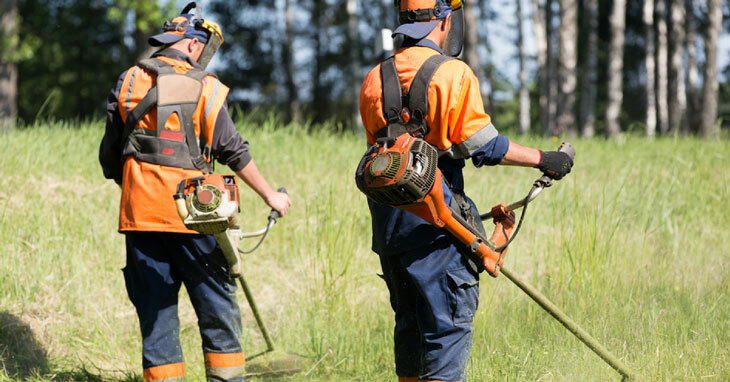 Depending on your budget and how large the area you will have to cover, we have listed some of the popular types of sod-cutting tools above. The steps we have listed will also help you get started. Did you find this article helpful? Please feel free to share it with your friends. Also, don’t forget to leave a comment to share your thoughts on this subject.